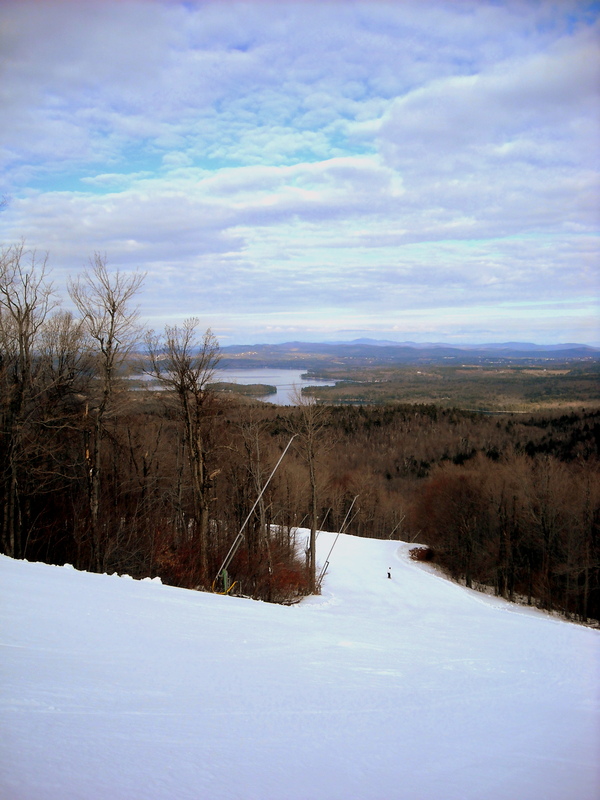 Monday of last week took me to Mount Sunapee in Newbury, New Hampshire. It’s a pretty decent sized mountain with 66 trails total, but the one thing it has over a lot of other mountains is a view that can’t be beat. There’s nothing in Southern New Hampshire like looking out over Lake Sunapee, well maybe except for being on Lake Sunapee and looking at Mount Sunapee… but anyways. Review time. Location: Mount Sunapee is about an hour and half away from Southern New Hampshire. It’s an easy drive up 89 North, but just beware of cell phone reception issues. As for food and gas, you’re best bet is to stop in Concord (just go past the 89 North exit on 93 North and try exits 13 and 14 – only a few minutes further). Once you’re on 89, the exit for Mount Sunapee has a gas station and a grocery store right as you get off. As for the scenic drive itself from the highway to Mount Sunapee – the area primarily a summer destination. Parking: I’ll admit this drove me nuts the first time I went to Mount Sunapee, but I’m learning to embrace it since I’m seeing a lot of different layouts. Parking is divided into a few HUGE lots. If you are in the top lot (you can see the lodge and lifts), you’ll be walking whatever distance there is to go. It could be a bit of a walk. If you end up in a lower lot, take the shuttle. Don’t be the cool kid who decides to use up all your energy just getting to the lodge (nope, wasn’t me – was a lame acquaintance). Ticket Counter/Guest Services: Ticket counters are on the outside of the lodges and guest services are on the inside. Now, ironically I found the ticket counter folks to be very helpful but the guest services people to not be quite as helpful. The situation was quite a simple one. I’m a klutz and while at Sunapee I annihilated some portion of my hand and was looking for an ice pack. So, logically – I asked guest services if they had one or could point me in the direction of where to find one. The guy I talked to didn’t seem to care too much. Told me to go find a plastic bag and fill it with ice (tried it, leaked like crazy), or ‘Go find First Aid’ but didn’t bother to tell me where it was. Well, I never did find First Aid, but I suspect it was the building on the far end of the base camp, so thanks dude for all the help. Lodge: There’s a part of me that hopes Mount Sunapee reads this part, because I’ve always used their main lodge as an example of poor layout. When you walk into a lodge, you should not be immediately dumped into a seating area. It’s overwhelming, and it causes horrible flow of traffic. I was fortunate enough this time to be there on a weekday, but I’ve been there before on a Saturday and that’s when I learnt to start coming to ski areas wearing everything but my snowboard boots. So, my recommendation, clear out some areas by the doors and improve the current of visitors. 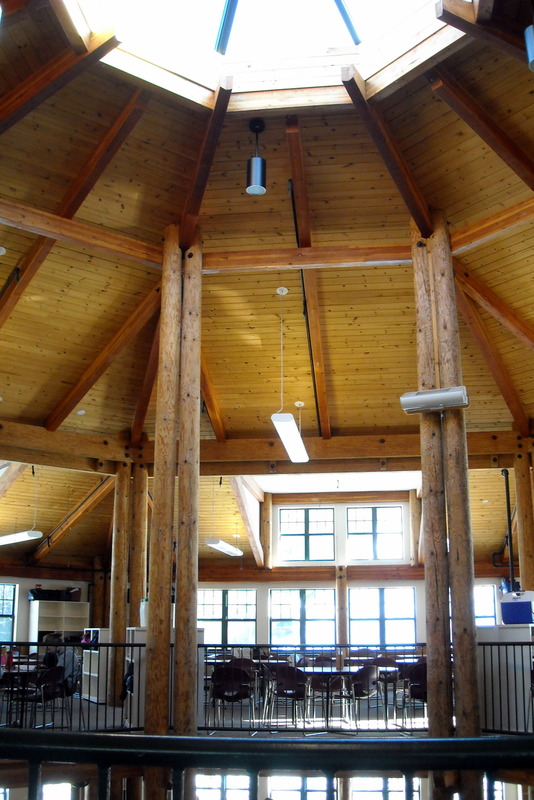 As for appearance, the lodge itself is beautiful with big windows, lots of natural lights, tons of exposed wood. So much potential! 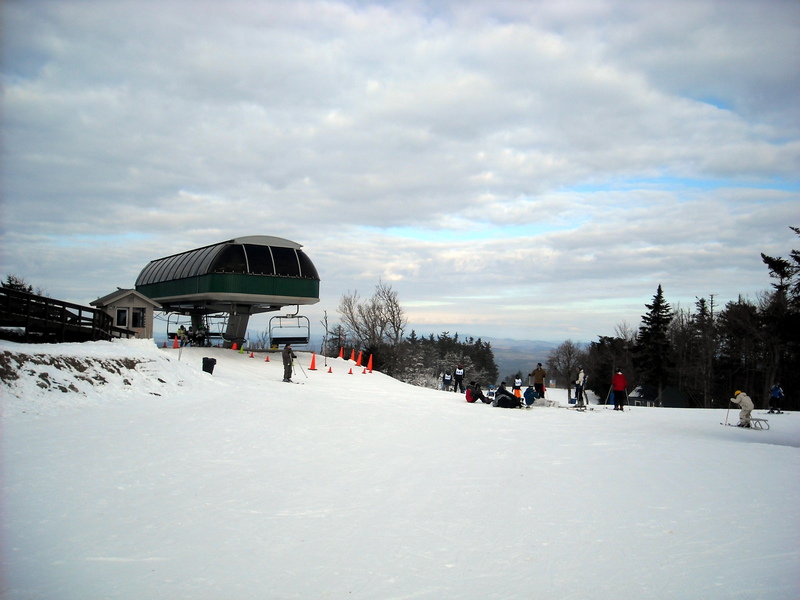 Lifts: Mount Sunapee has 9 lifts with 3 of them being pretty big. The main summit lift is a high speed quad that’s in great condition, but if you want to see some pretty spectacular views, get on the Sunbowl Quad and be looking behind you the entire time. Trails: As you’re probably starting to notice, I like either big open trails or really interesting trails. 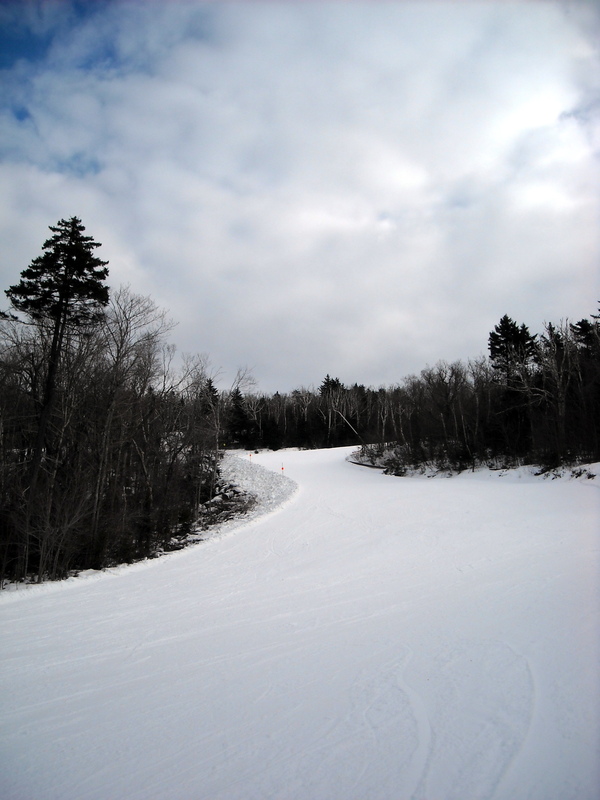 Mount Sunapee has a lot of the former, which is awesome. If you’re looking for a long open trail, try Upper Ridge to Lower Ridge. And if you’re looking for some amazing views, try the entire Winding trail. It won’t disappoint. The best view is right above Crossover. From what I could tell, Mount Sunapee makes their own chicken tenders in the kitchen right there, and they were subsequently delicious. 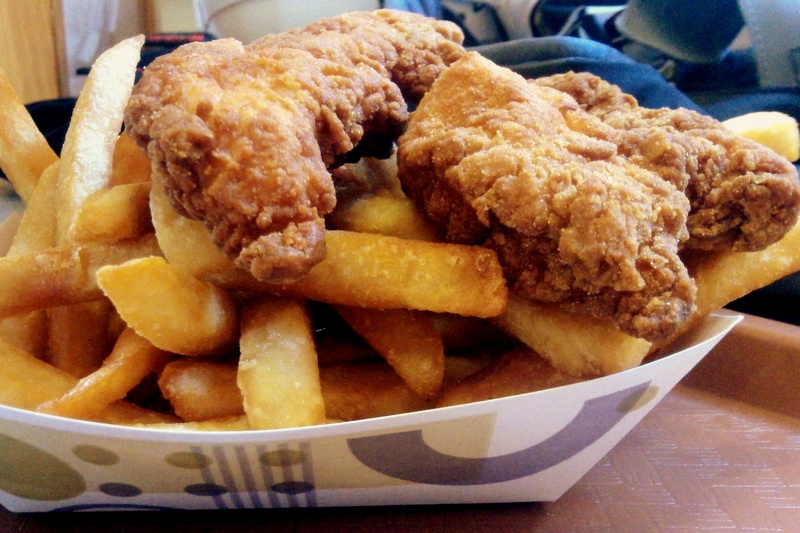 I got a small chicken tender basket for $6.25, which included 2 big tenders and a large helping of fries. The chicken was real chicken and very tender. The coating was incredibly good. Not a clue what was in it, but it was that type that you could probably put on any type of fried food and it would have been amazing. As for the fries, also amazing. Finally – a place that understood the concept of seasoning and not overcooking, and actually giving a fair helping for the price! Oh, and if you aren’t a chicken tender fan check out the mac & cheese selection. Amusing, but awesome.